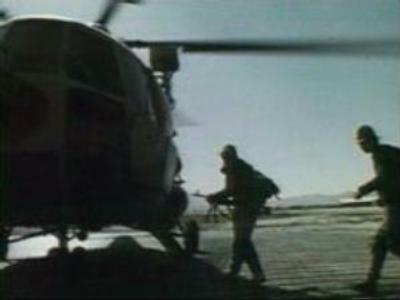 In 1979, meeting numerous requests from the Afghan government, the Soviet Union deployed its troops to the country. What was planned as a short-term mission to support the country's young democracy, turned into a full-scale, nearly a decade-long war. It was the last military action of the Soviet Union, and one of the most controversial regional conflicts in the history of the country. “It was given different names – an internationalist debt, an act of aggression – depending on who dubbed it, the USSR or the U.S.,” says the military analyst Evgeny Khrushchev. With the Islamic fundamentalist Mujaheddin movement rising, the split ruling Democratic Party of Afghanistan could not withstand the insurgency and needed international interference. But with the local mentality and religious factors not taken into consideration, the Soviet involvement turned into a decade-long war with some 15,000 dead among Soviet troops, and Afghan casualties many times that number. Every December Russian veterans of the Afghan War come together and remember those who never came back. The last Soviet soldier left Afghanistan in 1989 but the images of the war are still clear in their minds. With international terrorism believed to be the major threat to the world, the current situation in Afghanistan proves history tends to repeat itself.